Many aspects affect the sound quality of your computer How to Manage, Improve, and Fix Sound Quality in Windows 10 How to Manage, Improve, and Fix Sound Quality in Windows 10 Windows 10 has many options to manage, customize, and improve sound quality. These tips and tricks will make your sound experience reach its full potential. Read More . Your internal hardware, headphones or speakers, and software all combine to produce the music, videos, and other audio you hear every day. Of course, nothing will beat upgrading to an awesome new set of headphones or getting more powerful speakers. But did you know that Windows 10 has some built-in audio enhancements that can try? Note: These options all showed during testing on a Logitech USB headset, but may not be available for all devices. To access these, head to Settings > System > Sound. You can also right-click the Speaker icon in your System Tray and choose Open Sound settings. Once here, select the device you want to adjust using the Choose your output device dropdown. Then click Device properties. On the Enhancements tab, you’ll see several modes to try. This one’s pretty self-explanatory. If you want to blast more bass in music, enable this option. It will increase the lowest frequencies that you hear, thus giving you more bass. Click Settings to fine-tune it. If you have a stereo headset or set of speakers, you can enable this option and Windows will mimic surround sound through them. Give it a try if you’re a gamer How to Optimize Windows 10 for Gaming and Performance How to Optimize Windows 10 for Gaming and Performance Are you gaming on Windows 10? You can optimize Windows 10 for gaming with Game Mode and other tips and tweaks. We show you how. Read More , as it might give you an advantage. This option is a little different. Clicking it brings up the Room Calibration window with some information. Essentially, this tool plays test tones through your speakers and then picks them up with a microphone. It analyzes this data to recommend the best settings for your particular setup. This last option seeks to even out differences between the highest and lowest points of sound. Thus, loud sounds (like explosions in movies) aren’t as overpowering, while quiet sounds get a boost. Give it a try if max volume still isn’t loud enough, or if you’re listening in a quiet environment. It can help music sound more even, but you’ll lose the dynamic differences of many tracks. After checking the options you want to try, choose Apply to see how they sound. You may need to restart any apps playing audio to apply changes. 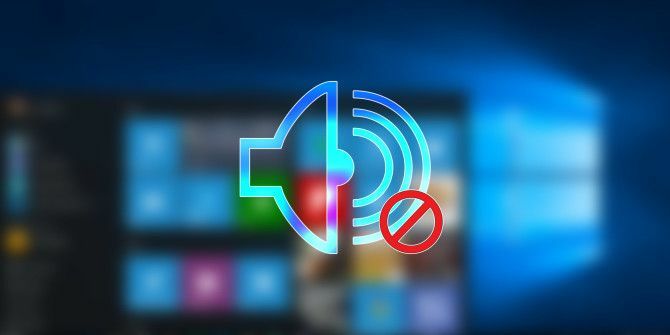 For more control, check out the best Windows 10 sound equalizers The 5 Best Windows 10 Sound Equalizers to Improve Your PC Audio The 5 Best Windows 10 Sound Equalizers to Improve Your PC Audio Do you want to tweak the Windows audio to your liking? These Windows 10 sound equalizers have you covered. Read More .